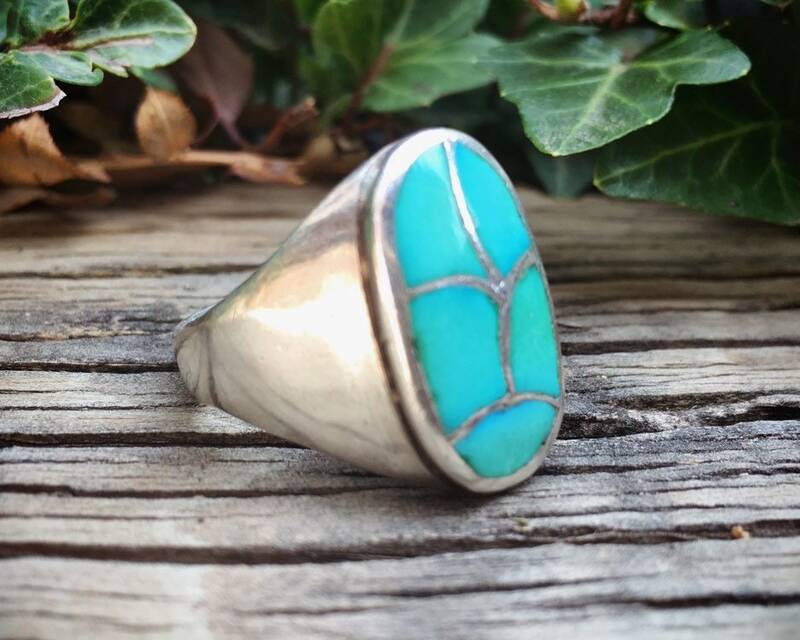 This vintage Native American ring is circa 1960s to 1970s and is made via a method called "channel inlay," in which turquoise stones are cut and laid within the sterling silver borders or channels. 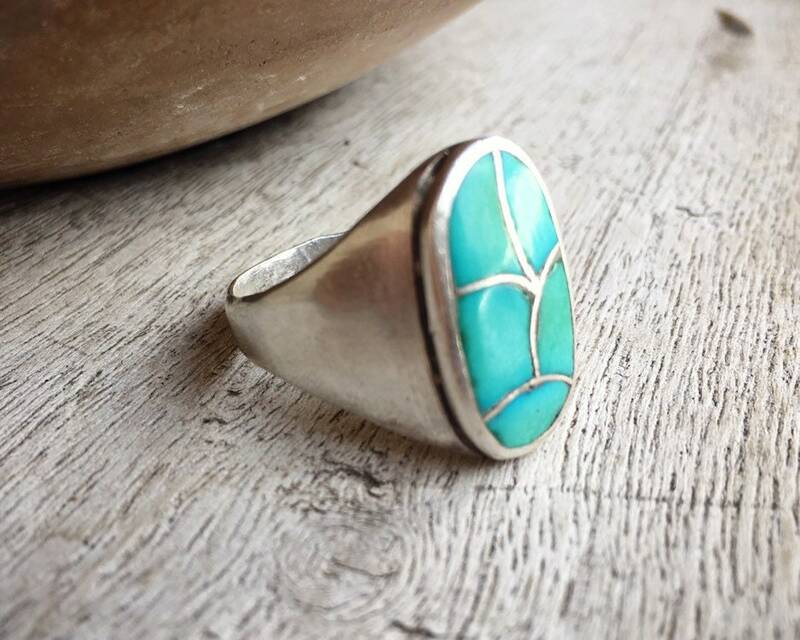 This design is sometimes called fish scale, and essentially it is an abstract design, very classic to the era in which was made. 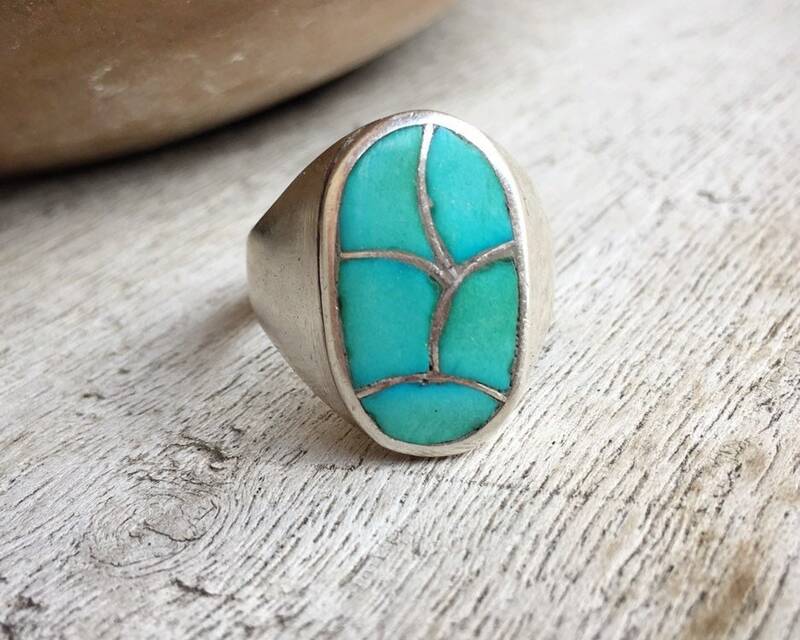 In the day, this would have been a Men's ring, the sterling silver sand cast. 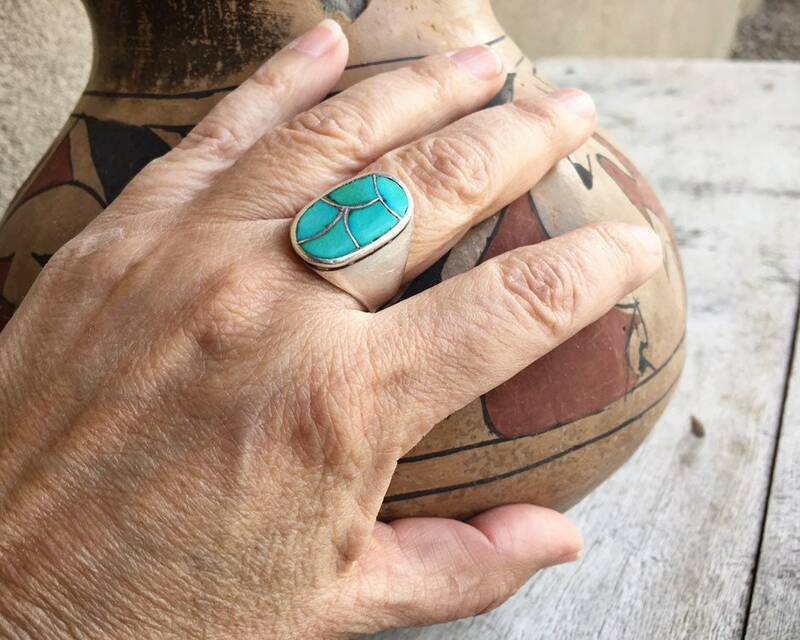 Today it's a great unisex ring, perfect for the old soul who loves the uneven hues of the natural turquoise, the colors have changed over time due to the oils from touch. 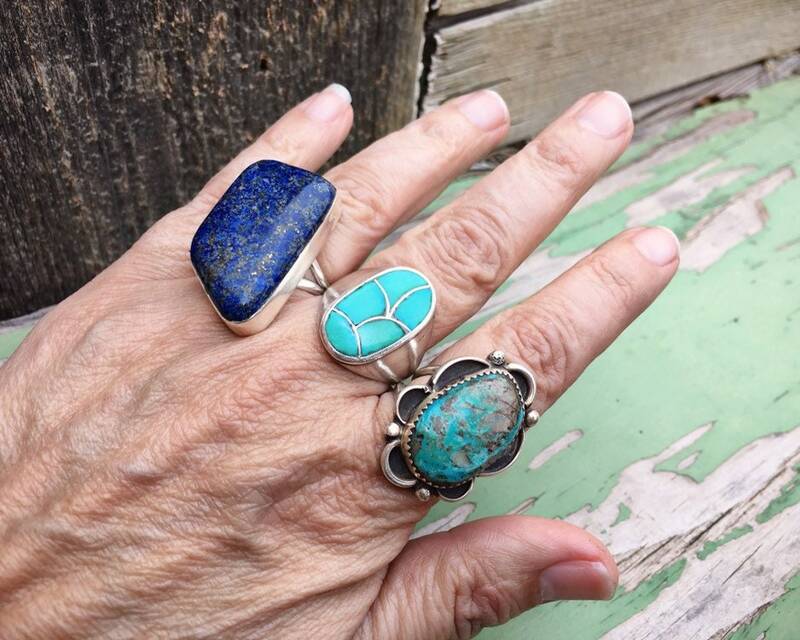 The ring face is smooth from age and has a worry stone feel to it. 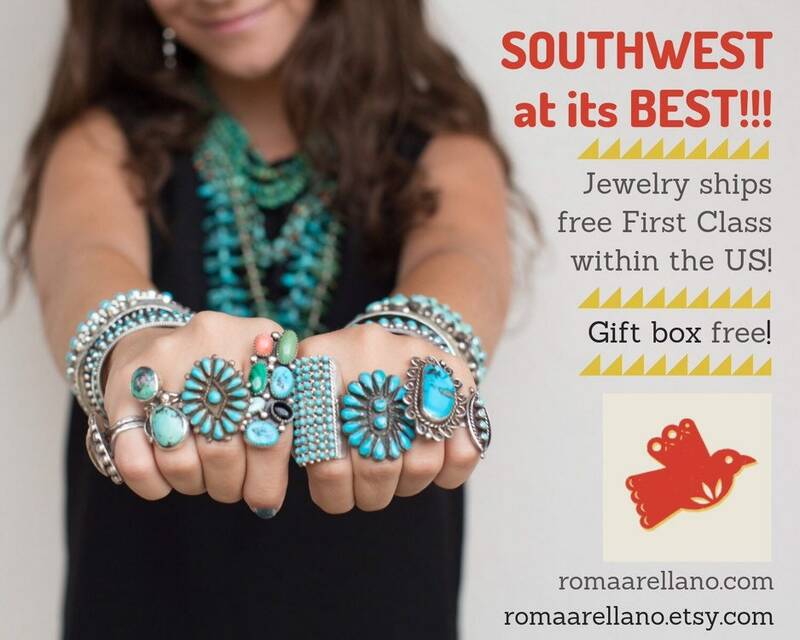 Give as gift to that person in your life who will appreciate classic Native American jewelry. 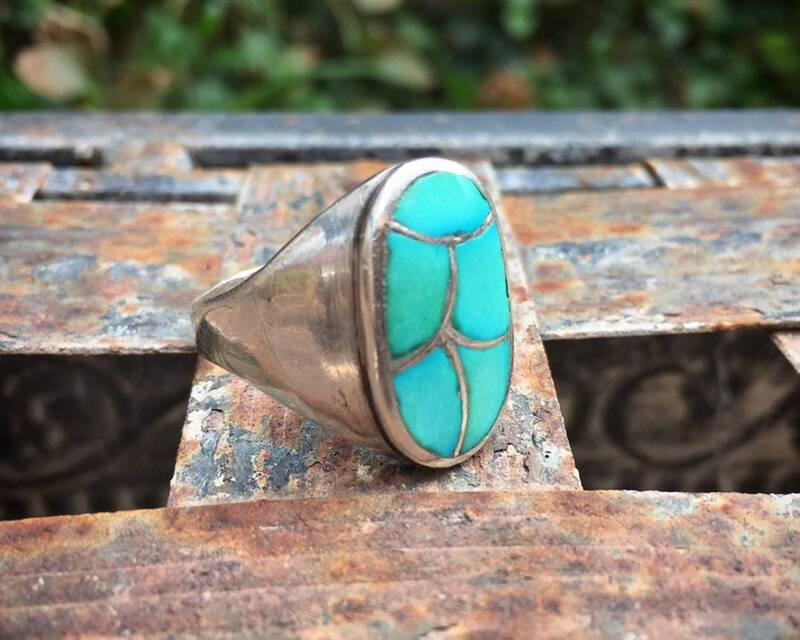 The piece is unsigned; we believe it is Zuni. 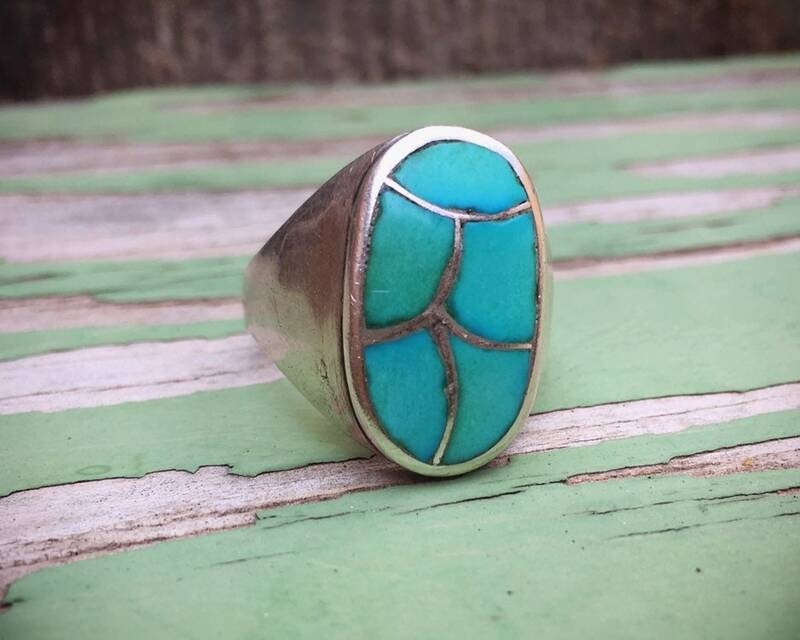 The ring is Size 11.25. 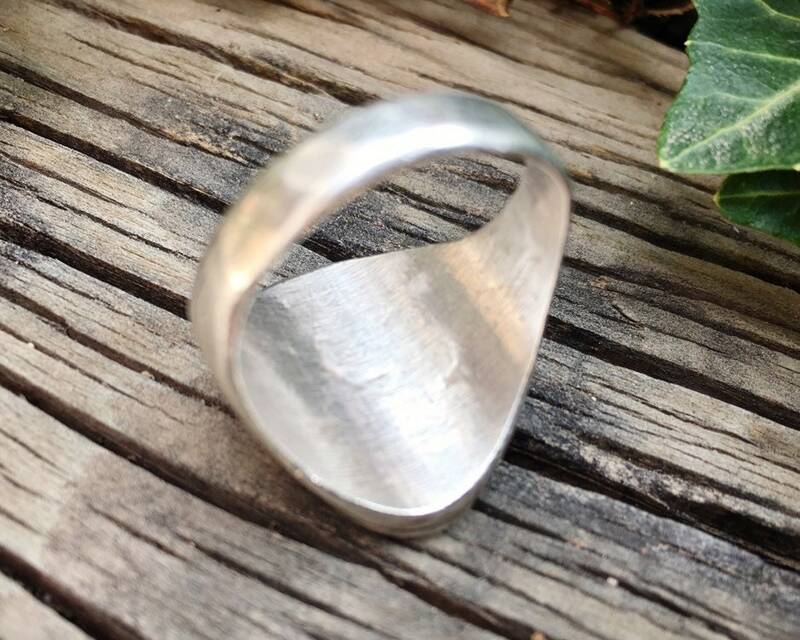 The ring face is just over 1/2" wide by 7/8" long. The silver band has thinned from wear. Otherwise in good vintage condition given its age.